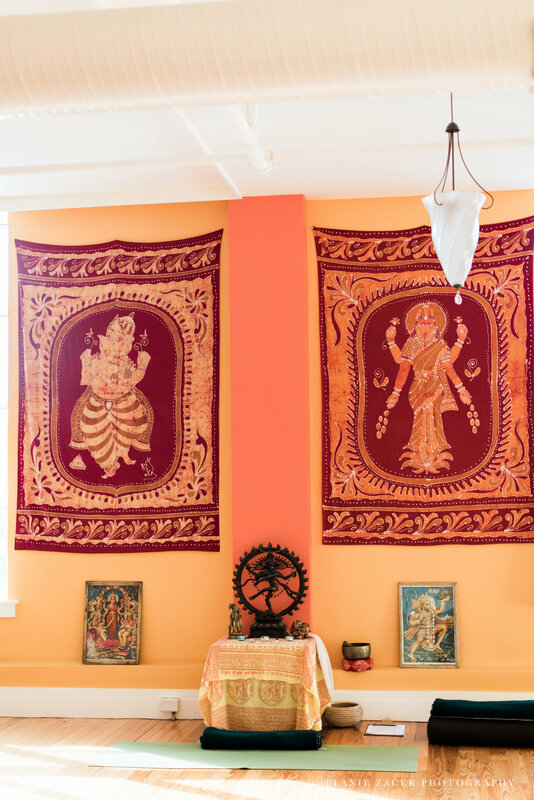 Yoga Sanctuary is committed to making yoga accessible to all students who want to learn. Our intention is to support an inclusive yoga community that allows the teachings, practices, and benefits of yoga to be accessible to everyone, especially low-income students and students of color. Through our Work Study Team and Scholarship program, we are excited to support students who are passionate about yoga and being a part of the YS community! Our Work Study Team members work at the studio in exchange for free or discounted yoga classes. Team members work one or two 45-minute shifts per week, helping at the front desk, cleaning the studio, and putting up flyers at businesses in town. We ask that students commit to a minimum of 6 months of weekly shifts. Ideally, team members will have done our Intro Offer, taken classes with a variety of teachers, and know they want to be a part of the YS community. If the Intro Offer is a financial barrier for you, we will work with you to meet your needs. Interested in joining the team? Apply below! YS offers a limited number of scholarships to those students for whom a Work Study arrangement is not possible and who have a strong motivation to practice and learn at YS. For a scholarship for a Warrior III unlimited monthly membership, students commit to practicing twice per week at the studio. For a scholarship for a Warrior II limited monthly membership, students commit to practicing once per week at the studio. —Workshops and Special Events: If you are interested in applying just for a workshop or special event scholarship, please make note of this in your application. —Yoga Teacher Training: If you are interested in applying for a scholarship for YTT, please see the YTT Scholarship Application Form. Please note: If you, or a family member who resides with you, has a membership at a gym or fitness center which offers yoga classes, or if you attend classes at another yoga facility, or if yoga classes are available to you in some way, please do not apply for our work study team or scholarship program. Our work study team and scholarship program are only for individuals who truly have no other access to yoga. If you are comfortable, please share so we know how to refer to you. If you'd like to share a pronoun not listed, please do so in the "Why do you want to study yoga at YS" field. Thank you! Requesting Work Study or Scholarship? Have you done the Intro Offer? *Our intention is to make yoga accessible to all committed students. The Intro Offer is a great way to get to know YS and decide if you want to commit to the work study team or scholarship program. If the Intro Offer is a financial barrier to you, we will work with you to meet your needs! How many months are you interested in taking classes? Why do you want to study yoga at Yoga Sanctuary? How much are you able to contribute each month? Are you able to contribute a service in exchange for classes at YS? Which of the work study jobs are you most interested in? Do you have any special skills or interests to offer? How do you value this offering vs. the cost of membership? How did you hear about YS? What inspired you to apply? We invite our community members who have the financial capacity to support our scholarship program. Below are three ways to contribute - if you have more ideas, please write to us, below! Become a Kula Member and support our whole kula - Sanskrit for community, collective, gathering of energy and life. Kula Members get the same benefits as Warrior III Unlimited Monthly members, and any amount over the Warrior III membership rate ($108) will go to support our students and yoga teacher trainees who cannot otherwise access yoga. Set up a monthly recurring donation. This is ideal for students who are not Warrior III Unlimited members but would like to share their energy and commitment to practice with the community. Always welcome! Every gathering of energy and funds supports our collective practice of growing and rising together. If you’d like to make a donation in an amount that’s not listed, please contact us! We are happy to set up your Kula Membership, Monthly Donation, or One-Time Contribution with any amount you choose. Thank you! We will be in touch with instructions shortly.